The first recorded performance in Newfoundland was in 1583 when Sir Humphrey Gilbert travelled to the island to claim it as a British possession. On his ships, Gilbert brought Morris dancers, hobby horses and May Day rites to entertain both the native inhabitants and his crew members during their stay. Mummering, also called mumming, is commonly known in many outport communities throughout Newfoundland as jennying or jannying. An old Christmas custom from England, it can be traced back hundreds of years. Although it is unclear precisely when this tradition was brought to Newfoundland by the English, the earliest record dates back to 1819. 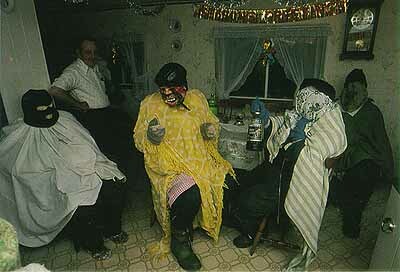 Mummering is a traditional custom which is still practised in many regions of Newfoundland today. Courtesty of Yva Momatuik and John Eastcott, This Marvellous Terrible Place: Images of Newfoundland and Labrador(Camden East, Ontario: Camden House Publishing, ©1988) 137. Mummering involved a group of people, disguised in ridiculous attire, who called on local homes during the Christmas season. These Mummers or Jennies, as they called themselves, dressed in bright coloured clothing and wore masks when available or painted their faces black. They also distorted their voices to avoid being easily recognized. After being invited inside a house, festivities ensued where food and drink were offered to the visitors who acted the fool and sang and danced while the hosts attempted to identify them. Once a person's identity was correctly determined, it was customary for the mummer to remove his or her mask. The traditional custom of mummering still occurs in many regions of the province today. By the 1840s, mummering, lords of misrule, fools and hobby horses were reported around Christmas among the St. John's working class. It would appear that for a time these practices helped to maintain the status quo by providing an annual release mechanism. Fuelled by excessive alcohol consumption, along with religious and political tensions, violence was a frequent outcome. This led to the legal abolishment in June 1861 of mummering festivities throughout Newfoundland. 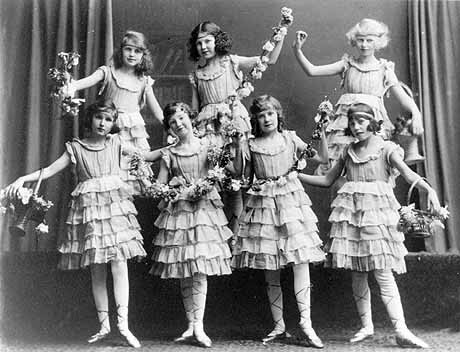 After 1861 the practice of mummering continued in various outports at Christmas, sometimes including plays whose origins were English or Irish. This entertainment was augmented with, and sometimes replaced by, community-generated variety shows which flourished until the mid 20th century. In St. John's, mummering disappeared under the watchful eye of strolling constables and theatre development was shaped by visiting performances, staged by the British Royal Navy or by touring American and Canadian professional troupes. These performances spurred amateur theatre chiefly among the local merchant class, and were satirised by Johnny Burke, one of Newfoundland's most famous balladeers. In both outport Newfoundland and St. John's, performance material was imported, but the outport tradition introduced indigenous materials and, more importantly, local attitudes. The St. John's theatre reflected the pro-British or pro-Irish leanings of much of the merchant and professional class which led to a bias toward imported cultural material. This bias was not challenged until the early 1970s when Provincial and Dominion Drama Festivals provided a venue for a spate of locally written plays. At the same time, a group of young Newfoundland theatre practitioners, first generation Canadians, came to maturity and questioned the sense of inferiority that they felt had been conferred unjustifiably upon them. Unsatisfied with existing theatre material, both imported and locally written, they began to write and perform plays collectively, which quickly established a provocative indigenous professional theatre dealing with their views of Newfoundland life and history. 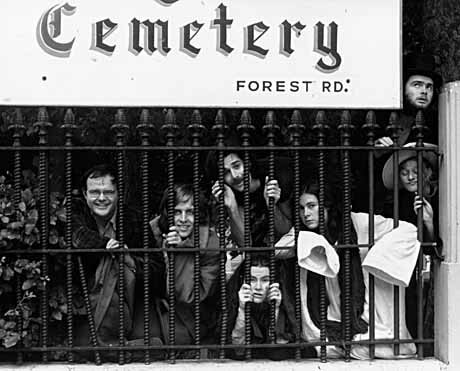 During the 1970s, the acting company CODCO greatly influenced the revival of the performing arts in Newfoundland and Labrador. Photo from Archives and Special Collections, Queen Elizabeth II Library, Memorial University of Newfoundland, St. John's, NL. Photo by Pam Hall. © CODCO. Courtesy of M. White. The provincial government began to push in the late 1960s and early 1970s to develop the arts in performance and other areas. However, the new collectives rapidly became alternative theatre, after the appointed officials overseeing this development did not seriously consider them. Mainstream theatre was limited to amateur drama festivals, community theatre chiefly performing musicals, and the occasional touring production from the Canadian mainland. However, collective plays, proved to be so popular that theatre groups performing them eventually secured both federal and provincial government funding. Music has played an important role in the performing arts revival in Newfoundland and Labrador. 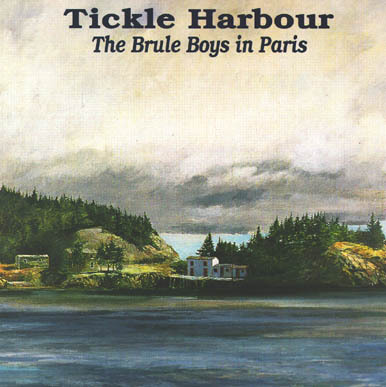 Groups such as Tickle Harbour have contributed significantly to this resurgence. Image and music courtesy of Tickle Harbour Copyright © 1994. Cover painting: Brule by Gerald Squires. In 1988 Memorial University of Newfoundland's Sir Wilfred Grenfell College in Corner Brook opened a Bachelor of Fine Arts program for Newfoundlanders interested in performance art. Theatre has not only proliferated on the island, but the collective tradition thrives in the Creative Arts Festival for young people in Labrador. In addition to theatre, which frequently involves musicians, performance arts have expanded to include a strong presence in contemporary and new dance, the focus of which is often, as it is in theatre, Newfoundland life and experience.